Reading-room conditions such as illumination, ambient light, and display luminance play an important role in how radiologists analyze and interpret images. Indeed, serious diagnostic errors can appear when observing images through everyday monitors. Typically these occur whenever professionals are ill positioned with respect to the display, or when they visualize images under improper light and luminance conditions. VRRRRoom combines immersive HMDs with interactive surfaces to support radiologists in analyzing medical images and formulating diagnostics. 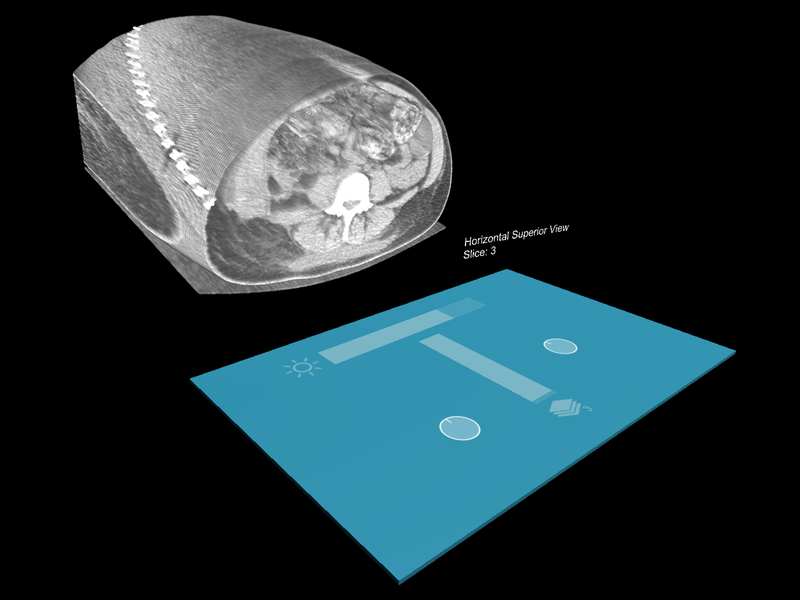 In this project, we show that virtual reality is a viable, portable, and cost-efficient option that can assist radiodiagnostics by considerably diminishing the effects of unsuitable ambient conditions.